Three therapists so far are kind of “meh” on the autism diagnosis. They recognize the “quirks” he has, but don’t particularly think of him as autistic. The diagnosis opens the door to more help, but it’s comforting to see a look of surprise from people who know him so well. It’s a tricky thing, the secondary diagnosis, when there are so many potential causes of issues. He’s social this boy. He may chew on your pants, but he’ll look you in the eye when he’s done. 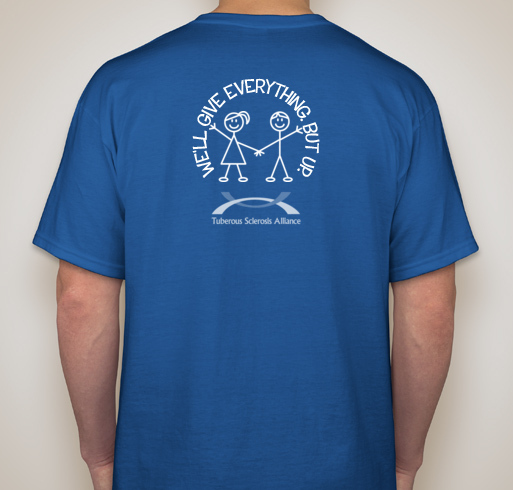 Chris and I have decided to raise money towards this year’s TSC walk by selling awareness t-shirts. 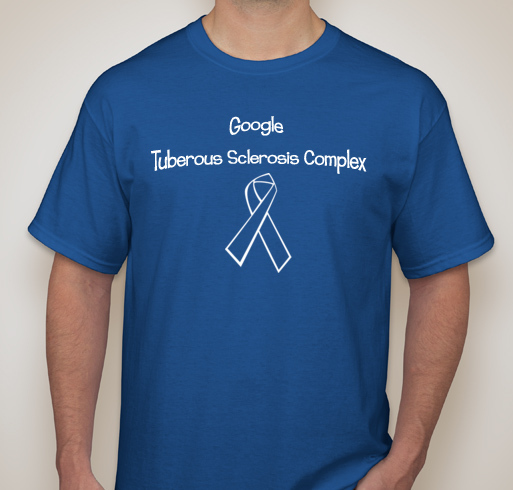 We initially thought about team shirts but decided a general awareness shirt would have a bigger reach. If you don’t want a t-shirt, you can donate directly to the walk at the link at the top of the page. But if you’d like a shirt from which a portion of the proceeds benefit the TS Alliance, go here. At the moment I am posting this the shirts are unisex, but I hope to have a woman’s cut available soon. Next month is TSC Awareness Month and I plan to do a month of daily guest posts from other people living and dealing with TSC. Last year was a huge success and there is a tab at the top of the page to check out last year’s submissions. *Your general story or you can focus on a particular issue you have had to deal with (e.g. advocating in schools, a surgery, balancing family, LAM). I don’t make rules on length. Your story is your story. I’m also open to creative entries, such as inspirational poetry. I cut and paste to the blog so a word doc or just the body of an e-mail is fine.